So, what is heart disease? Heart disease, otherwise known as cardiovascular disease, is actually a wide range of conditions that affect the cardiovascular system. Therefore, it can include issues of the heart and arteries. You can be born with these issues, or they can be a result of lifestyle choices and situations. Therefore, it’s important to do your research if you think you may be suffering from heart disease. There are a lot of treatments out there that might help if you simply know what to look out for. 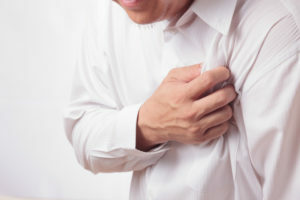 Since there are so many different types of heart disease, there are a wide variety of symptoms that can indicate a problem. If you have heart disease in your arteries, such as high cholesterol or high blood pressure, you might notice chest pain or tightness. You might also notice that you can’t catch your breath as easily, or you might get pain or numbness in your extremities. If you notice any of these signs, it’s important to make an appointment with a doctor in Dartmouth, Massachusetts. You might also experience a racing heartbeat, a kind of fluttering near your heart, dizziness, lightheadedness, fainting, changes in skin color, swelling, or difficulty exercising. Since there are so many different symptoms associated with heart disease, you really need to see a doctor to get an accurate diagnosis. Since heart disease describes so many different conditions, there are a lot of different factors that might be causing your heart problems. Some of these causes are congenital, meaning that you are born with these issues. 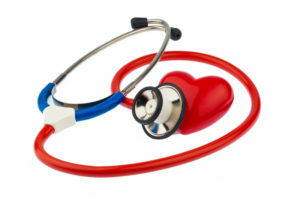 Others are caused by infections or parasites that affect the way your heart works. However, many people suffer from heart disease due to their lifestyle choices. Being overweight or obese, having a poor diet, or not exercising all play a big role in your likelihood of developing cardiovascular disease. Therefore, doctors often recommend changes in lifestyle to get you on the road to wellness once again. When it comes to heart disease, prevention is the best medicine. Your doctor can help you make smarter choices when it comes to your lifestyle to help mitigate the risks of suffering from heart disease. By limiting your intake of saturated fat and salt, exercising regularly, and stopping smoking, you can greatly reduce the risk of complications associated with cardiovascular disease. However, prevention isn’t always enough. In these cases, medical intervention might be necessary. Your doctor might prescribe medication that can reduce the risk of complications. You could also be a good candidate for heart surgery. The doctors at Prime Medical Associates will do everything possible to make sure you have the answers you need about heart disease. We will work with you to formulate the best plan of action to get you back on your feet. You don’t have to panic if you get a diagnosis of heart disease. With trusted experts by your side, you can continue to live your best life.